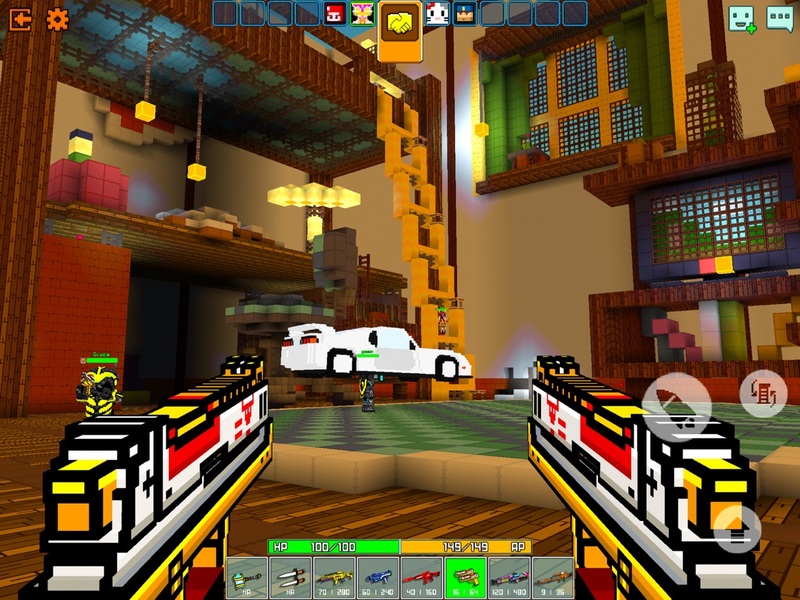 Cops N Robbers (FPS): 3D Pixel is one of 3D multiplayer shooting games developed by JoyDo Entertainment. 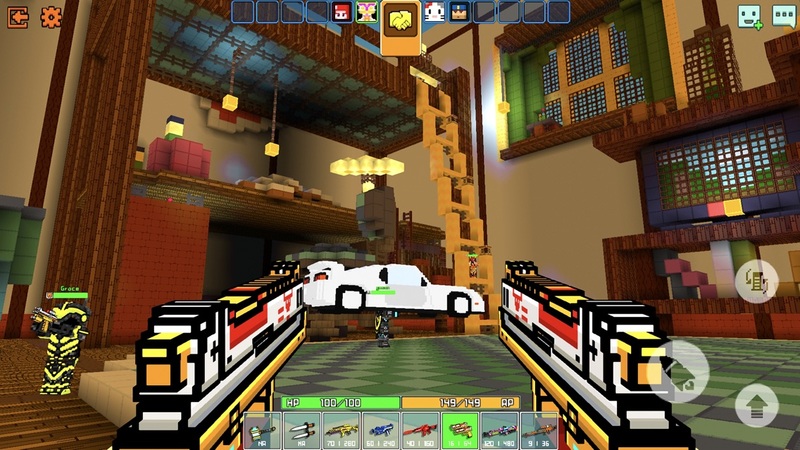 If you are fond of multiplayer games, if you wanna download free games, if you want to have extraordinary jail break experience through FPS games and battle games…That's it! Warfare is ubiquitous! 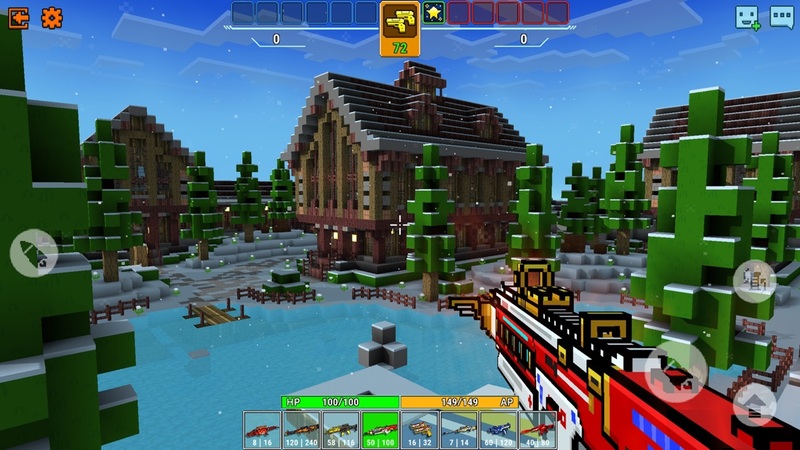 Pick up your gun to shoot and strike enemies and try best to survive! Download it and battle now! Fighting with friends all around the world now! 6. 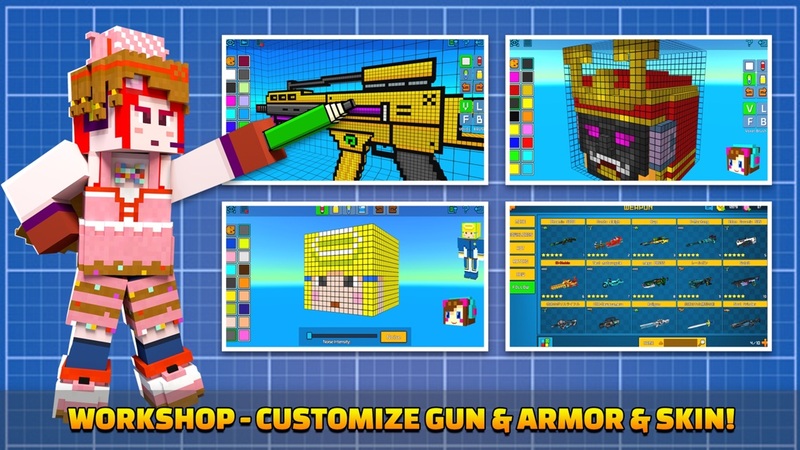 Skin System (40 + skins), especially a skin editor is provided... draw your customized skin in game, now you look epic. 7. Armor System: classic cops and robbers style armors, also customizing personalized armors is available. 9. 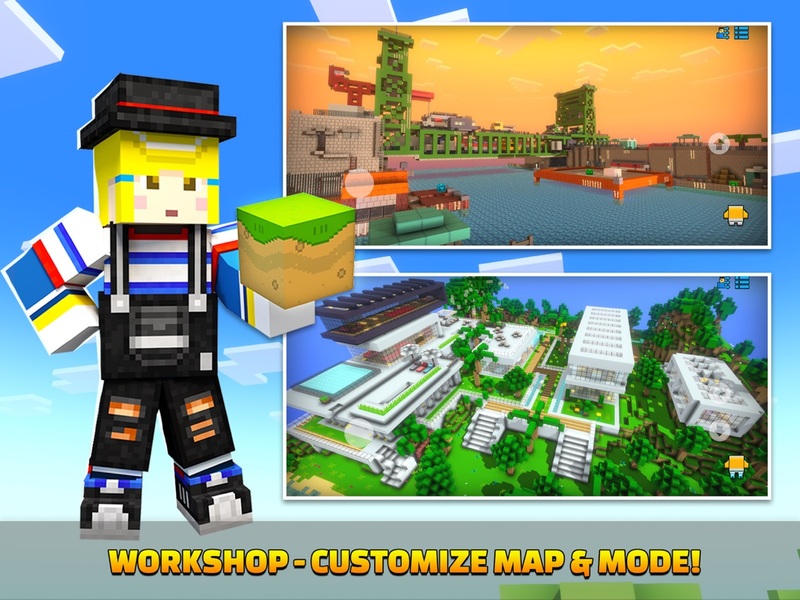 Game Mode: Stronghold Mode & Team Mode & Death Match Mode & Peace Mode & Ghost Mode & Hide And Seek Mode. 1. 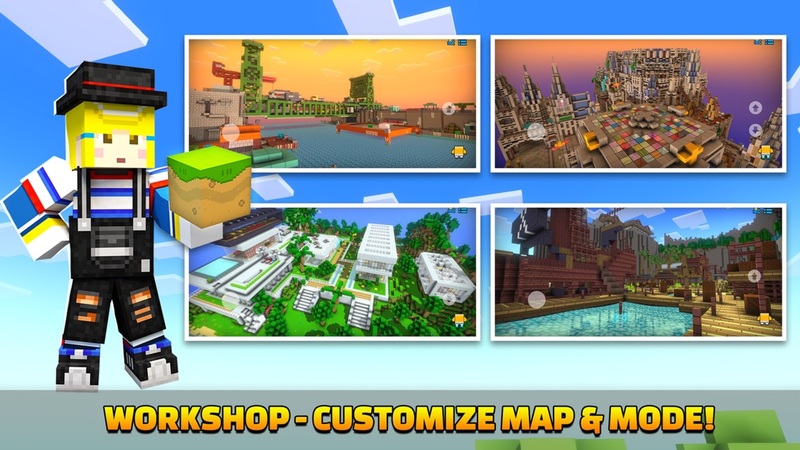 Open sharing and download function for custom mode map. 2. Enhance the power and attack range for custom melee weapon. 3. Optimize invitation and follow function for Friend. 4. Performance optimization and Bug fixed. 1. Performance optimization for Zombie Mode and Custom Mode. 2. Fix the problem of player avatar in game room. 1. 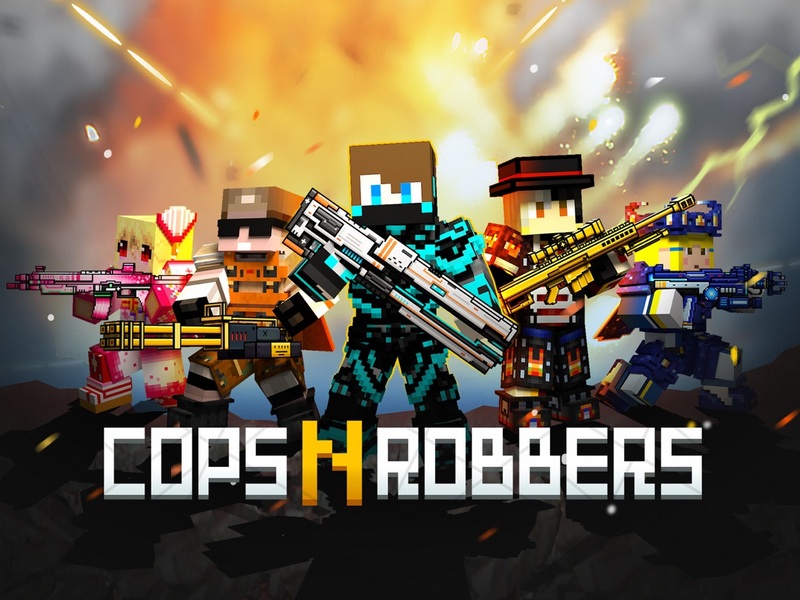 Cops N Robbers (FPS) 3rd Easter Crafting Event is about to start! Join the event to get a special gift. * Open limited Carnival VIP: get exclusive sniper rifle, lots of privileges and props. * Complete quests to collect eggs: exchange the holiday limited weapon skin, open the carnival chest to win epic S weapon and holiday armor suit. 1. 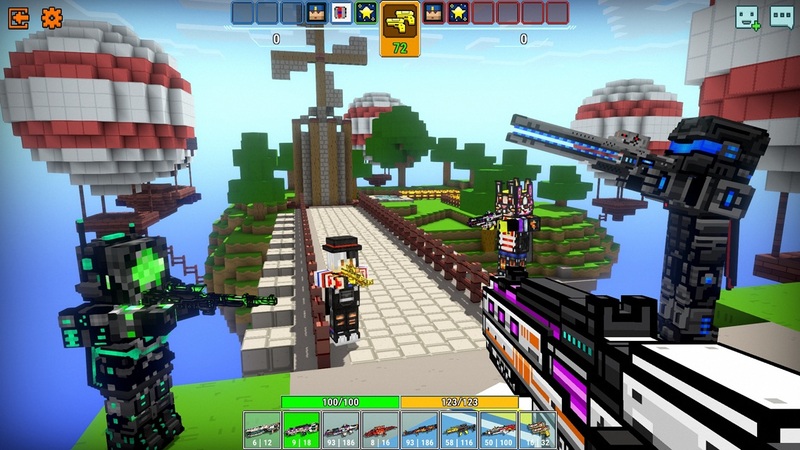 Brand new CUSTOM MODE: create your own unique game mode based on the blocks and rules we provide. 2. Crafting Master VIP comes back online, which will give you a better crafting experience. 1. Add new maps "Railway Station" & "Street" for Team mode. Add new map "Giant Kitchen" for Hide and Seek mode. 2. Structure adjustment for map "Sniper Field". 3. Add the left fire button. 4. Add chat function in Zombie Mode (Team). 5. Add RGB palette in Avatar and Legion Badge. 6. You can set direction for spawn point in custom map. 7. Bug Fix: problem of using thrown weapon to jump. 1. Open "Spring Chest" to win holiday limited weapons, weapon skins and armor enchanted card! 2. Add thrown weapon: Firecracker. 3. Fix the bug of overlap issue in Legion. Fixed numerical problems of "Bio-Charged" attribute in custom weapon. Bug fix: Custom sniper gun activation price display error. Dear CNR players, this is another major update in CNR's history. 1. We set quality mark for weapons. There are five levels of quality in game. They are: S/A/B/C/D. Attribute adjustments to existing system weapons make system and custom weapons more balanced. 2. We add a new prop – "Weapon Enchanted Card". By enchanting a card on a weapon, you will get various types of special abilities. 3. In conjunction with the new PVE mode - Zombie Mode, the new attribute of the weapon – "Bio-Charged" is opened to enhance the damage in this mode. 4. We add "Weapon Skin" function: the same weapon can change different skins in inventory, and some rare skins carry special attributes. 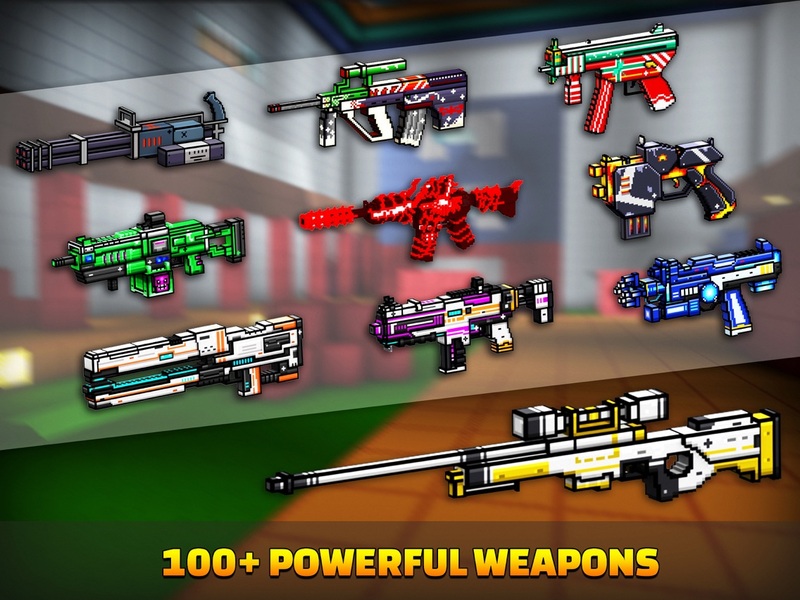 In this version, more than 20 weapon skins are added. 5. Added the new weapon type - "Special Weapons" and put on the first special weapon - Railgun GX6. 6. Adjusted price and attribute bonus of the weapon upgrade feature. 1. You can choose Single or Team to start the challenge. 2. Challenge the new mode and win a lot of rare items and coins! Lots of new event limited items added: 2 event-limited weapons, 1 event-limited armor suit, 4 event-limited weapon skins. 1. Improve PVP room creation mechanism: add a matching view. 2. Optimize the armor reforge feature: lock the attributes you want. 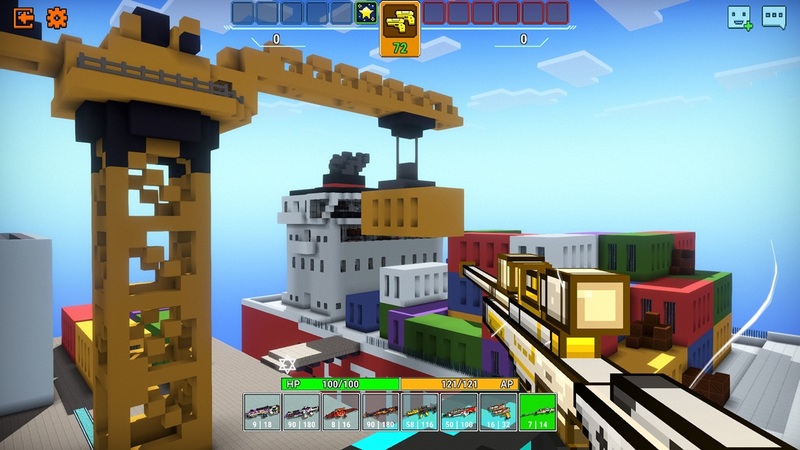 Thanks for playing CNR FPS, wish you have fun! 2. Bug Fix: Moving problem in the test status when you edit a custom map. - New setting option “Shadow” for iOS devices. You can experience real-time lighting effects. (Low-end devices are not recommended). 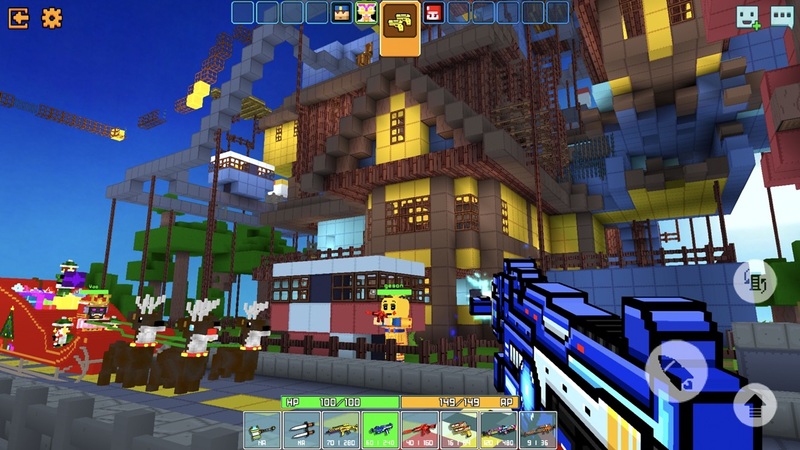 - Remove two paid texture packs. The gems you spent on the purchase of the texture packs will be refunded via email in game. 7. Optimize login process: Fix some problems which caused stuck. 1. New Season: Keep the same passion and ambition as always. 2. Summer Event: Come and join us, win commemorative weapon and armor set. 2. New Armors: Basketball Set, Musical Set, Samurai Set and Swim Goggles. 2. New VIP Subscription: “Weapon Master VIP” upgrade to “Crafting Master VIP”. You can use all the locked functions in "Customize" for free and collect debris every day. The activation price of custom item is taking 10% off. Plus 3-days free trial is waiting for you. 5. UI Optimization about Store, Inventory and Customize. 6. Bug Fix: Illegal grenade. Hope you will have a great time with CNR in this summer. 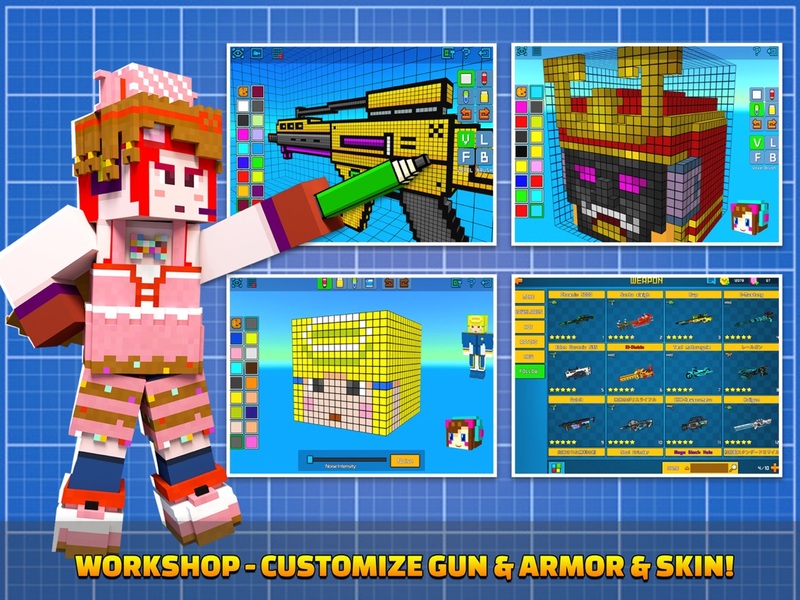 Weapons: G-MUSTANG-COBRA, Twinstingers, Tripple minigun, キャロットミニガン, Rabbit Shoot, Egg burster and Easter Gun. Armors: Bunny cap, Ｂｅ ａ ｂｕｎｎｙ ｅａｓｔｅｒ!, purple knifes, Shoes, CyberArmor, Crystal wings and Bunny cape. Maps: 兔子国, EASTER VALLEY and Easter day. 1. 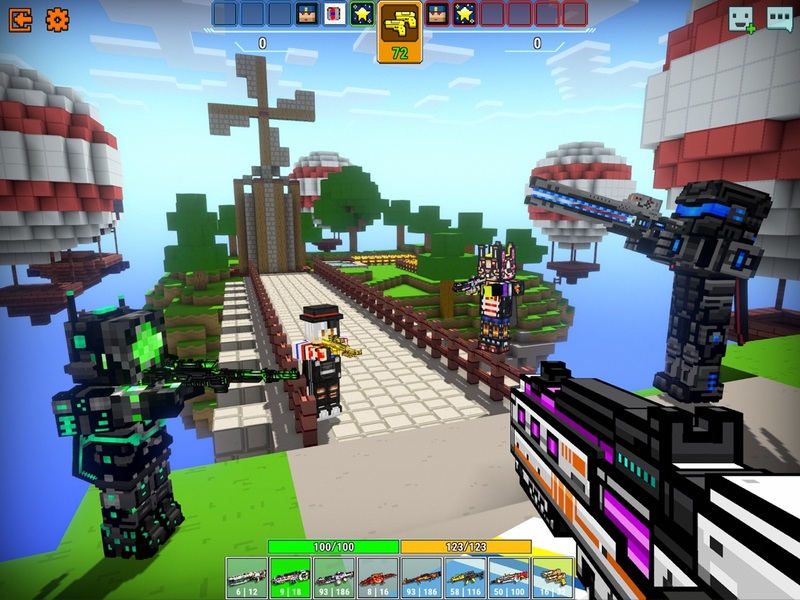 New PVP game mode. You can fight with 20 players. 5. Sticker: Add 9 new stickers. 1. Fix no result problem in multiplayer mode. 2. Fix no display problem about “Frost” gun body effect. 3. Fix error display problems about friends’ names and chat messages. 4. Fix some problems that caused the crash. Hey guys! It's time for our 2nd "Easter Crafting Event", a special edition for the coming Easter! Please join the event and have fun. 1. Independent, innovative and free designs are encouraged. Join the event to get a special gift. 2. We are well prepared some great value packs for you. Don't miss out. 1. 5 Armor Sets: Nian Set, Punk Set, Assault Set, Nunn Set and Bunny Set. 2. 12 weapons: MP7, MP7 Spring, SCAR-H, SCAR-H Spring, SVD, SVD Spring, P90, AWP Easter, Razer Easter, M1C Easter, Bunny Bomb, Fire Dragon. 3. Custom weapon effects: 18 bullet hole effects, 7 muzzle flash effects, 1 gun body effects. 1. We have redesigned the Friend System in a completely new style! 2. New editing mode for custom skin. 3. Pay attention to some official messages from mailbox. 4. Now you can invite friends to join your room when you are in battle. 5. Optimize anti-cheat function and add "Report" in game room. 6. Remove "auto-generated" feature for clips in multiplayer mode. 7. Custom map supports multiple sizes. Maximum map size: 96*96. 8. Compatible with iPhone X. 1. Optimize Hide And Seek Mode. 2. Fix no result problem when game is over. 3. Fix display problem of buddy list and messy code problem of chat. 4. Fix upgrade and purchase problems in legion. Thank you for your wait and support! Happy Easter! We have added a new ACCOUNT system in this update. During updating, please make sure that you have a good network connection (WiFi suggested) and the device battery is enough. The whole process may cost a lot of time. Please DO NOT shut down the game during the loading process. You should wait until loaded. Please follow the steps to bind your own account after entering homepage in the game. The festive atmosphere has pervaded Cops N Robbers! Enjoy all the gorgeous features we have prepared for you. Merry Christmas! 1. New Armor and Weapon Sets: Santa Claus Set, Tesla Set, Gingerbread Set, Candy Boy/Girl Set, Hawk Set, etc. Include 30 armors and 11 weapons. Besides, equip the whole Tesla Armor Set to activate special effects. 2. 17 new other armors: Rainbow Boots, Elk Antlers, Skull Cape, etc. 3. 5 new Christmas weapons: M4 Xmas, AK47 Xmas, M134 Xmas, G36K Xmas and AUG Xmas. 1. Exclusive Christmas props – Candy, as many as possible. 2. Login and collect rewards: Candy, armors and debris are waiting for you. 3. Candy Machine: Use candies to spin candy machine, you will have chance to win all the Christmas themed props and some out-of-print Christmas weapons in the past. 4. 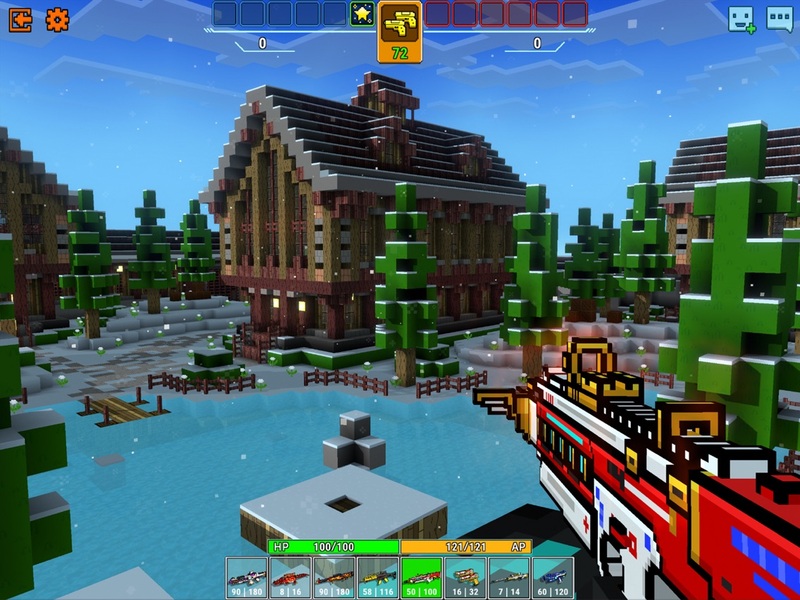 Christmas themed map: Christmas House. 1. New armor system - Customized Armor. - New feature: “Reforge”. You can reforge armor to get more useful attributes. - New prop: Enchanted Card. Equip it on your cape. You will have chance to change your enemy's appearance when you defeat him. 2. Add account system: Create your own CNR account to save your data. 1. New PVP game modes: Seek and Hide Mode & Ghost Mode. 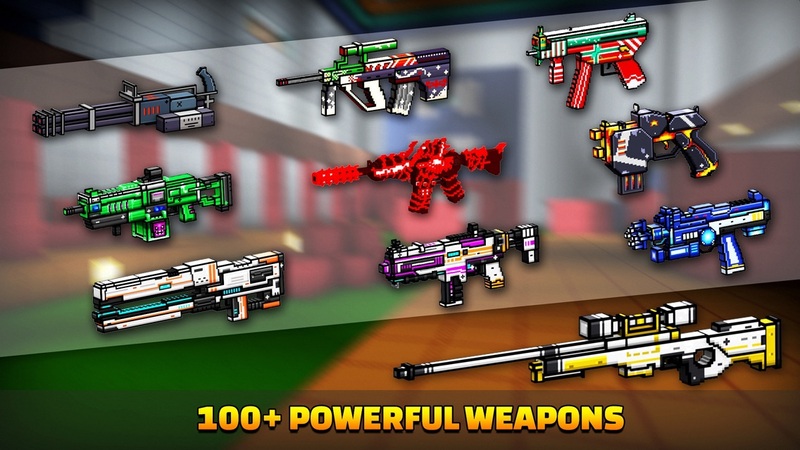 - During festival, “Custom Weapon” is unlocked for all the players. - Remove old gun type – “Classic Gun”. Add new gun types: Rifle, Shotgun, Submachine Gun, Machine Gun, Pistol. You need to re-choose the weapon type for your classic guns. The Level and Proficiency of the weapon will be retained. - Update the 3D editor: more powerful. - Add new weapon attributes: Armor Penetration, Effective Range and Movement Speed. - New feature -“Muzzle Flash Configuration”, 7 muzzle flash effects: Snowflake, Candy, etc. - New feature - “Bullet Hole Configuration”, 8 bullet hole effects: Snowflake, Candy, etc. - New feature -“Gun Body Effect Configuration”, 3 gun body effects: White Frost, Blue-white Frost and Red Streamer. - New decorations: Christmas tree, Mural, Bells and Christmas musical box.  - Support Snow & Cloud settings. 4. New in Legion: Legion store is available. Now you can use legion coins to buy some exclusive weapons. 5. New Props: Armor Debris, Skin Debris and Weapon Debris. You can use them to activate custom items. 6. New PVP System: Redesigned the calculation of weapons and armors. Redesigned all the shooting effects. 7. New in “Customize”: Alter some designs and add “Report” feature. 8. Christmas themed layout and music for you to enjoy. Celebrate the Christmas with fireworks. Happy holiday! 1.Add a new quest: Daily Kill. Complete missions and get coins! 2.Improve kill information display: A new hint of weapon logo that show which weapon killed you. 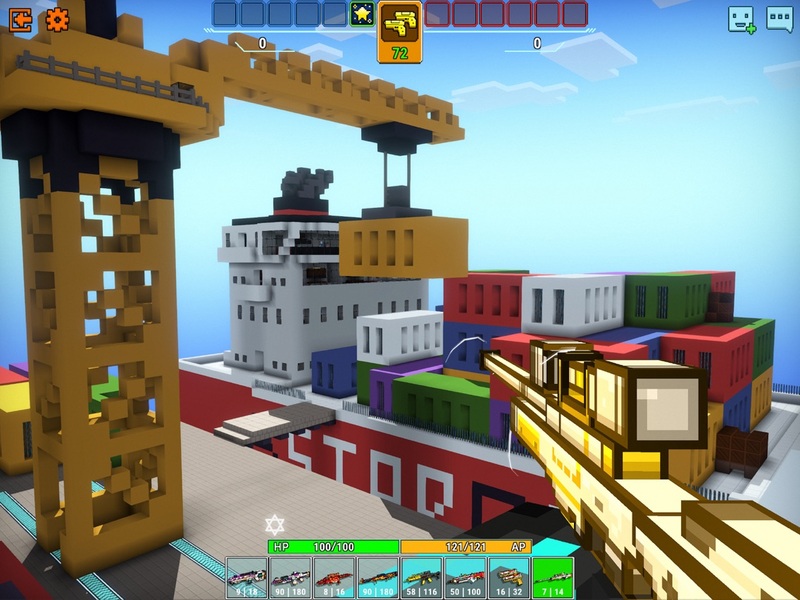 3.New in weapon craft: Add one 2D model and one 3D model. 4.Improve performance and fix some bugs. More content updates coming soon. 1. We launched a new feature of "FOLLOW" in friend system. 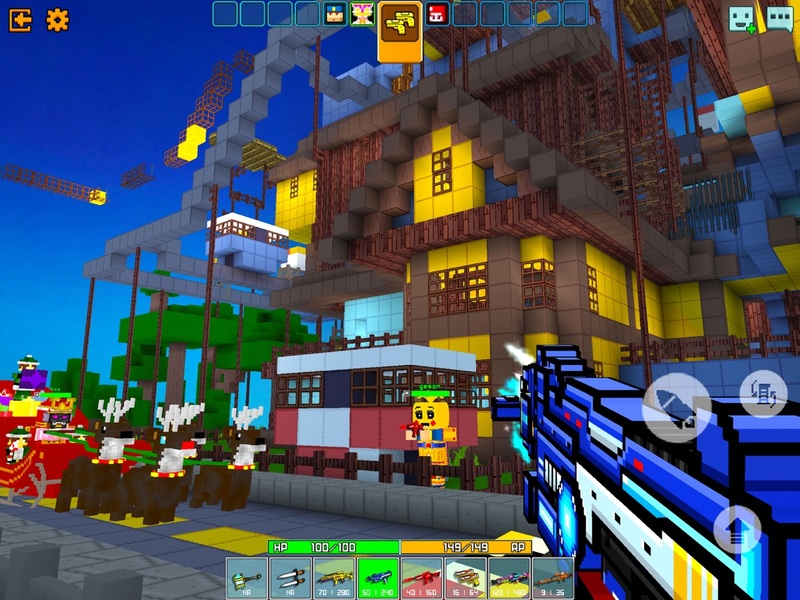 Team up with your friends and become the most dangerous and feared posse in game! 2.Now you can change sound for your custom weapon! If you are tired of the single sound, you'll like this feature, I assure you. 3.New level of price for skins - 500 coins for each skin only. 4.Servers are updated to US, EU, AS, JP, CN. 5.Fixed some user feedback bugs. 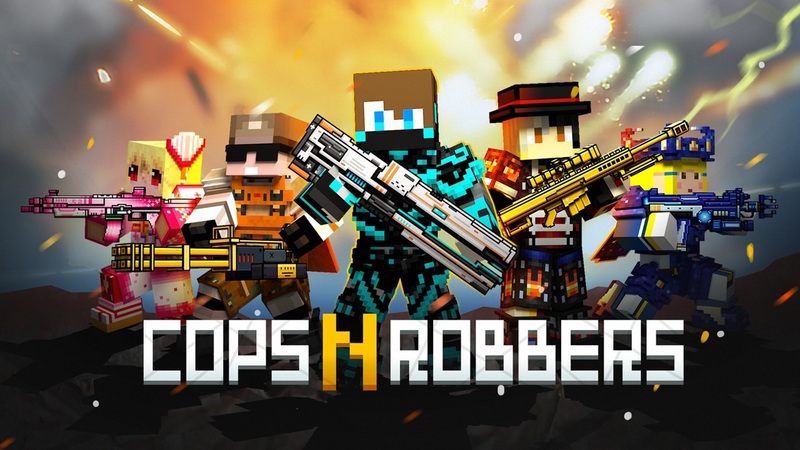 Thank you for being a loyal Cops N Robbers (FPS) player! Stay tuned for more. 1.Unity is strength! We launched a new feature of "FOLLOW" in friend system. Team up with your friends and become the most dangerous and feared posse in game!